Technique, style, intensity , posture, abrazo, beeing grounded, lines and pivots. Apply to sequences. Beginners want to dance like intermediaries, intermediaries want to dance like advanced dancers, advanced dancers want to dance like the greats. But the greats always go back to the basics! specific figures of milonga- from simple to complex. Anmeldungen sind verbindlich! Absagen aus zwingenden Gründen bitte umgehend an den/die Organistator(in) richten! Die Anmeldung gilt erst dann als angenommen, wenn die Anmeldung per Mail von uns rückbestätigt wurde! 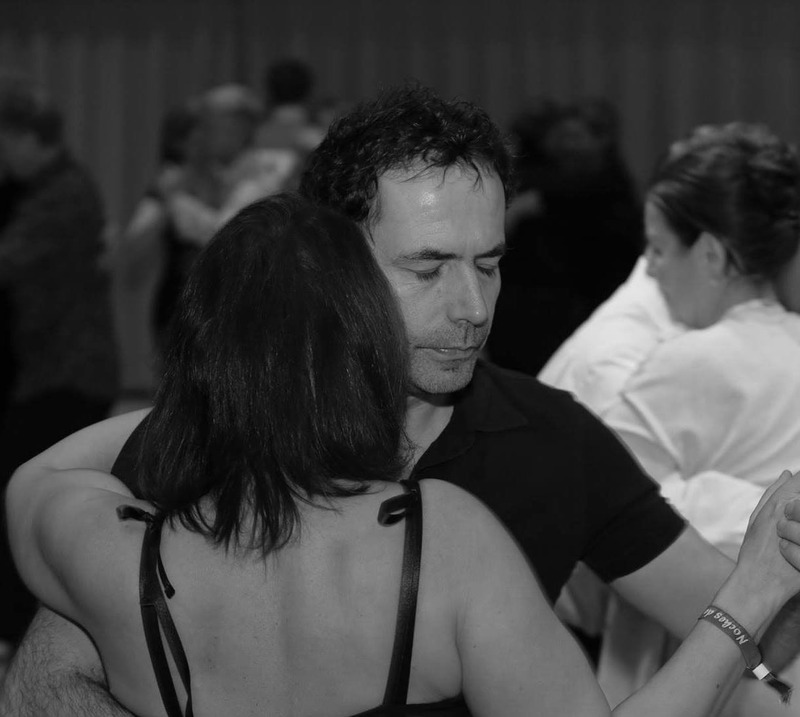 MILONGA mit Auftritt von VANESSA & DAMIAN und GAST- DJ Andreas " El Ingeniero" am SAMSTAG, 6. Juli in der Falkstrasse 26! Studies tango since the 1990’s. He started in his hometown Buenos Aires and mainly studied with the maestros Gustavo Naveira, Fabian Salas and Chicho Frumboli during that time. Later on, he also studied with maestros Gabriel Missé, Raul Bravo, Alejandro Aquino and Natalia Hills. Her main teachers are Gabriel Missé and Gustavo Naveira. She also studied with Giselle Anne, Chicho Frumboli, Geraldine Rojas, Javier Rodriguez, Sebastian Arce and Mariana Montes. And later wtih maestros Raul Bravo, Natalia Hills and Alejandro Aquino. During this period in Buenos Aires, she also worked as assistant at CITA, taught in Mora Godoy’s Tango Studio, Carlos Copello’s tango school and Tango Brujo Studio. She performed in many Buenos Aires milongas like Salon Canning, La Viruta, La Papelera, Casa de Tango “La Ventana” from 2003 to 2009and worked with several partners: Lucas Molina Gazcon, Evren Sayin, Aoniken Quiroga. In 2008 with the great Maestro Roberto Reis, she participated in the Tango Fantasy Festival, Miami Beach, Florida and the Chicago Tango Festival.